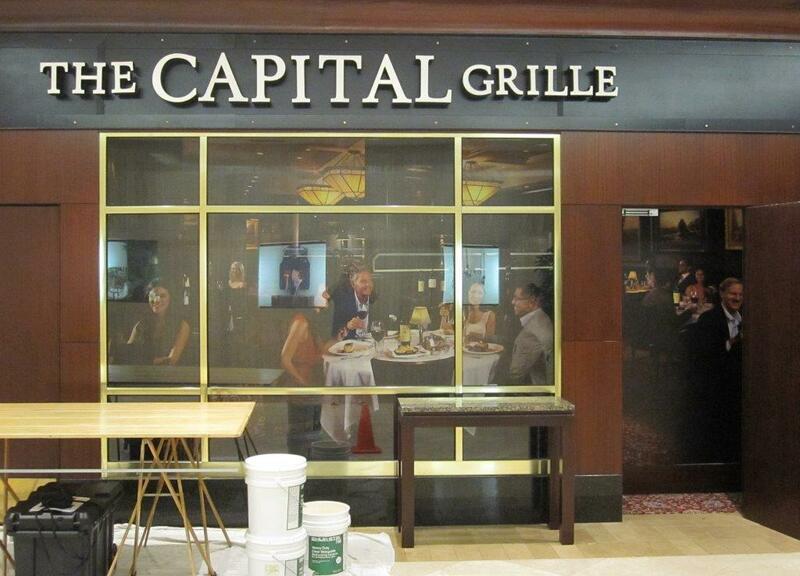 Here’s an interesting job we just finished for Darden Restaurants. The customer had a display case on the side of the restaurant in a mall. They wanted it to look like you were looking into the restaurant when you looked into the display case. They took a good quality photo of happy people having a meal in the restaurant, and we printed custom wallpaper to make it look like you were looking into the restaurant. I think it looks pretty good! This entry was posted in Custom Printed Wallpaper and tagged display case wallpaper, display murals, restaurant wallpaper. Bookmark the permalink.